The onshore upstream industry faces ever higher demands and greater challenges with increasingly difficult and hostile environments in which it must operate. As the unconventional natural gas resources opportunities, particularly shale gas, are growing in North America, Yokogawa's total solution plays an important role helping customers meet the challenges of reducing both CAPEX and OPEX, while enhanced built-in technologies increase production. Our global as well as local experience provides the basis of our unique total solutions to meet the needs of this industry. With experienced upstream experts located in offices around the world, we provide quick and extensive support to meet the demands of our customers. Onshore unconventional drilling is commonly used in the extraction of oil and natural gas today. There are an increasing number of multi-well pad type drilling programs in most of the active plays. Different drilling technics are used to decrease drilling time, lower environmental impact and to improve initial and estimated ultimate recovery. Natural-gas processing is designed to control the dew point of the natural gas stream and to separate the natural gas liquids for sale and distribution. Oil and condensate removal, water removal, separation of natural gas liquids and sulfur & carbon dioxide removal are processes used to separate impurities in the feed coming from upstream reservoirs. The fractionation process takes the liquid streams from the gas processing plant, which may consist of methane, propane, butane and pentane and treats them in separate fractionation columns which may then go to an impurity treatment plant before being sold as separate components. 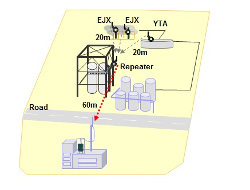 Yokogawa total solutions include not only the well site, but also the injection, pipeline, compressor station, and the process plant facility. Our experience for these applications can be integrated to optimize the overall operation capability and maintainability. Yokogawa is being selected by the major energy companies as its automation partner because Yokogawa focuses on delivering highly reliable solutions – from instrumentation to RTU's, SCADA, DCS, Safety Systems and integrated digital oil and gas field applications. Yokogawa offers a wide variety of sensors and controllers that are used to monitor and operate the digital oil & gas field, as well as engineering and configuration services and support, providing a turnkey automation solution. Explore Yokogawa's products to increase the efficiency and environmental performance of your wells, and ensure their safe and stable operation. With the rapid pace of drilling for Oil & Gas in North America, more and more companies are choosing to automate their wells after drilling and completion. 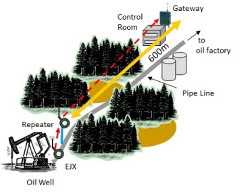 Implementations with quality, reliable and accurate electronic transmitters provide greater visibility of well activity during the lifecycle of each well. Well mounted transmitters provide local process readings as well as transmission of process data for monitoring and control. Natural gas exploration and production of the rich shale formations in North America is a rapidly growing trend in the onshore Oil & Gas industry. With these ever expanding development activities come the need for improved monitoring technology allowing more efficient operations and to help companies ensure they are following the various environmental regulatory framework. 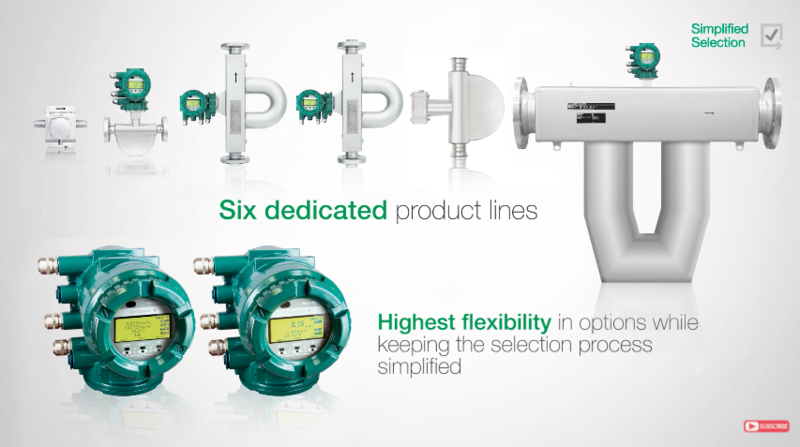 Flow measurement technology has become an integral part of each major service provider's process allowing these companies to profitably keep up with the demanding pace of business today.